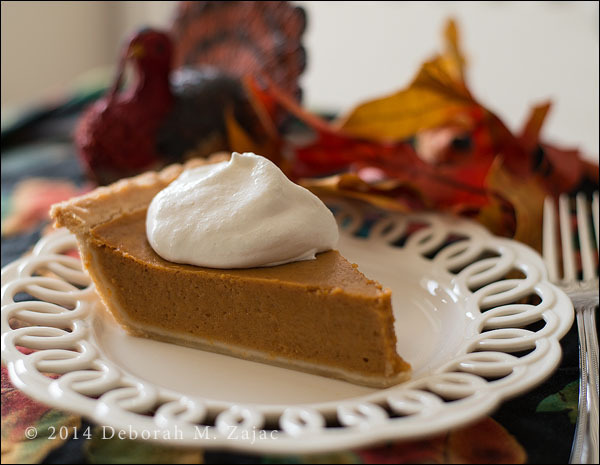 I am sharing a post from my archives this year, I hope you enjoy this Thanksgiving re-post from my archived posts. But first…here’s the latest in my life. Big Baby Boy is coming home for the Holiday long week-end, and Baby Girl and the Handsome Surveyor are hosting Thanksgiving Dinner this year in their house. We were really excited about that, but dinner may be a bit late. I’m going to share something very private. Baby Girl is a woman who is a High Risk for disaster when it comes to having babies. I begged and pleaded, cried, and pleaded for her to get fixed after #1 Grandson because she was in such a terrible, a terribly sick place that I feared I, He-Man, Big Baby Boy, #1, Grandson, and his father would lose her. Thankfully, she had wonderful Doctors and they pulled her through, but she felt there was another baby in her life so she did not get fixed. Well, she was right #2 is in the oven and she’s 27 weeks 3 days pregnant. Today the fear of her past history of Preeclampsia reared its ugly head. Tonight she’s spending the night in the hospital as a precaution. Her labs are good, but they don’t want to risk it and let her go too early, so we’re praying for her morning labs to come out good, and she’s able to come home, and #2 Grandson our soon to be littlest who is fine continues to grow in the womb until the planned 37-week delivery. Because of her history, they’re going to induce him at 37 weeks: I don’t think I shared it’s a boy did I? It’s a BOY! 37 weeks is thankfully today a full term baby. That’s 10 weeks away! I will be praying every day she stays healthy and can deliver him at 37 weeks. While I was with her in the hospital tonight they had a premie baby specialist come in to tell her what would happen to the baby if she had to deliver him tonight or tomorrow and what medicines she needs now to help him survive. It was scary, and we hope, and pray with all our hearts and beings it doesn’t come to that! I wish all those celebrating in the US a wonderful Thanksgiving, and a lovely week. Be thankful for your family, and count your blessings. At the end of the day it’s all about your family, and the God you believe in to see you through this life. I’m staying away from all stores this week-end. I’m shopping after this week-end and online. I don’t want to deal with parking, traffic, or the crowds. Did you brave the traffic, parking hassles, and crowds today? Did you score any really great bargains? I never have. I guess that’s why I don’t miss going. Tomorrow I hope to put away the Thanksgiving decorations, and get our tree up. I think Big Baby Boy is going to put up the Christmas lights for us this year. What a blessing he is! Thank you so much Jill! It’s my daughter and so far she’s doing well. No more relapses. Let’s hope it stays that way. What an anxious time but I see that thing are looking up. I wish you all the best! Thank you so much Amy! Thanksgiving is my favorite holiday for just those reasons. I hope you had a beautiful and lovely holiday with your family too Amy! I’ll chant along with you! Oh Deborah! That sounds scary! I hope everything goes well for your daughter-in-law and her baby-to-be. It sounds like she is in good hands and #1 Grandson is a beautiful boy so hopefully, he will have a beautiful brother soon (but not too soon). Happy Thanksgiving <3. That pie slice looks delish :-). Thank you so much Myriam! She does have a wonderful team of Doctors. She’s doing so much better now. I am so glad to hear that, Deborah! Every week is definitely a bonus. Our eldest daughter is also in the high-risk-best-not group, so, I understand your fearful feelings. When Sissy had baby #1, she thought about getting fixed, and while she was thinking about it, baby #2 came along, and then she got fixed. Phew! is all I should say, but I will have to add that two pregnancies in two years put a huge strain on her already bad condition, because that’s the mama’s job, to complain and worry and tsk, while never giving up HOPE! Some days I am replaying Steel Magnolias, ya know? I bet you do. I will also add that my two youngest were taken at 37 weeks and the worst we can say is they were a bit jaundiced, but not in need of medical intervention 🙂 The boy was a true preemie and he’s a big strong man now 🙂 I pray for you all the best angels and love to the infinite power. Thankfully today 37 weeks is considered full term these days so we’re praying and routing for that. #1 Grandson was induced at 36 weeks and he was fine outside a little jaundice as well. It was Baby Girl who was in dire straights. Yeah, I know what you mean about replaying Steel Magnolias. 😀 Wonderful, still wishing you all the best! This sounds familiar. I had pre-eclampsia too giving birth to my eldest kid. Stayed for a month at the hospital before giving birth and she was also induced. I hope she’s fine. Thank you so much for sharing and for giving me more hope that all will be fine Arlene! She’s back to normal right now and we’re praying she stays that way for another 9 weeks. Thank you, Cheryl! Back to work now, and dealing with a very quiet house. It’s going to take some time getting used to #1 Grandson and Baby Girl not living here anymore. Prayers for baby girl and her baby boy!!! Thank you so much! I hope you and the family had a lovely Holiday! Happy Thanksgiving to you and yours, Deborah! We all have much to be thankful for! Thank you so much, Gordon! We do indeed. Hope to see you this Holiday season! Dear Deborah, I know you must be in a state of constant hyper-worry. I can’t even imagine… But now that you’ve spoken, you have everyone here wishing and praying. I will pray the baby and your daughter are healthy. Thanks for sharing. I will also pray for your strength, Deborah. Happy Thanksgiving. Thank you so much, John. I appreciate your kindness so much! Thanksgiving is a wonderful holiday because it is so positive and doesn’t really require monetary considerations. It is just pure – family, friends, and a shared meal. I’m hoping and praying you enjoy a nice family meal whether it is at a family member’s home or bedside on a hospital tray. I will keep your daughter and your new grandson in my prayers because that’s what friends do. Blessings to you and yours and your daughter’s skilled medical team. I’m right there with Judy, Deborah, virtually and in spirit anyway. 🙂 Praying for your daughter and all of you! We’ll be just the two of us this year, but as everyone will be back for Christmas, I’m good with that. I’m ready for a day of relaxation anyway, so that will be a good gift. I’m happy I’ve gotten to know you and as we’ve said before, a meeting is in order for one of these years. Until then, many blessings and thanks for your friendship. Thank you so much, Janet! I hope your quiet Thanksgiving with just the two of you was lovely and relaxing as you hoped. With Big Baby Boy gone back to his southern Cali home the reality of an empty house and #1 Grandson and Baby Girl not living here anymore is really sinking in this morning. I’m thankful for blogs, and housework to keep me busy today! We had an excellent day, Deborah. I have plenty to do every day, even with no one else here except my husband. Of course, I’m working part time, too, and that takes up plenty time. It’s my favorite holiday because it’s just a time to be together, and eat. Like you said “pure family”. I hope you had a lovely holiday as well. Have you narrowed down your snow blower choices? Did you decide on one? You’d laugh if you knew how many hours I’ve spent looking at them. The one like Dan’s with the tracks would be perfect, but outside my snowblower budget because I need a mulching mower in the spring as well. So, now, I’m checking sales. OH! Sounds like two different tools. They make one to do it all? I won’t laugh if you promise not to laugh at how many hours I spent looking for just the right lens and then bag to carry it in. Sadly, despite the many hours searching I’ve never found the perfect bag. I hope you find one you really like and want on sale and get it while you can put it to good use this season. Thank GP! That’s a great gif! I hope you had a lovely holiday too! That I did, thank you. You can never have too much pie! Well add a little prayer that all goes well for mom and baby (and all the rest of you). Happy Thanksgiving Deborah. Thank you so much, Dan! We appreciate those thoughts and prayers they work!